"The land of the freeee... and the home of the Swans!" Firstly, before the actual blog starts, to celebrate Swansea City's trip to the USA, press 'play' below and stare at the picture! Following the intense emotional slap we all took after Brendan Rodgers left the club in the immediate post-season, we've had quite a calm ride. Michael Laudrup came in, shocking a few and exciting many, but since then it has been quite comfortable to watch, listen and read about Swansea City. With just under four weeks until the Swans begin their second Premier League season, and before I take my two week holiday (…in Italy, thanks for asking), lets have a brief recap and then look ahead to what still needs to be done. The first game under Laudrup was a success. An expected relief for all. 5-0 against Port Talbot showed that even a Swansea B team can score goals and, though it was against a much weaker side than any they'll face next season, it showed there is potential in the reserves and kicked off the Laudrup reign wonderfully. The squad, minus a few of the Team GB hopefuls, have already made the journey to the USA for their 12-day, three-game period of friendlies against Colorado Rapids, Ventura County Fusion and San Jose Earthquakes. 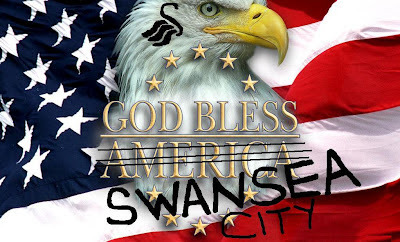 These games should pose a significant test to the Swans A team and allow them to (I hate this word) 'gel' before they return for more warm-up matches against Blackpool and Stuttgart in the familiar setting of the Liberty Stadium. As I mentioned, we're seeing a pretty calm pre-season transfer-wise. No major names have come to the club, but the three that have put pen to paper (unless it's done digitally these days?) are all worth taking notice of. However, some areas still need attention before that visit to QPR. Starting with one of the most important areas on the pitch, I'd say another semi-decent goalkeeper is needed at some point. This signing isn't the highest of priority at the moment, but it may well be if Vorm and Tremmel simultaneously fall ill this winter. But for now we can leave this area and hope they take their vitamins. Defence has certainly been boosted by Jose Chico Flores coming in as centre-back, while Curtis Obeng impressed many with his speed in the Port Talbot game - something he was unable to show off last season. This is a relief as, if he can do it at Premier League level, it would mean defence is pretty much sorted with a starting four of Rangel, Williams, Flores and Taylor, with Tate, Monk, Obeng and Richards available to cover. An area which is now saturated with quality is midfield. The arrival of Jonathan de Guzman and Michu has beefed up an already meaty area of the squad. Michu, with 15 La Liga goals last season certainly looks to fill the void left after the departure of Gylfi Sigurdsson. Add the two new boys to the likes of Britton, Agustien, and possibly Orlandi and Dobbie, and there will be plenty of options next season. Upfront is now the main area of concern. Ignoring the wingers and just focusing on the strikers, will Danny Graham, Leroy Lita and Luke Moore be enough? I'd say no. It's close, but I'd like to lose Moore or Lita and bring in one more striker - one with enough quality and goals to relegate Graham to the bench. Then we would have ourselves a team! Elsewhere in the world of football, it's worth pointing out that Brendan Rodgers is looking to recreate the play-off winning Swansea squad at Liverpool. Fabio Borini has already signed, while Rodgers is looking to prise Joe Allen away. There are also rumours that he is interested in Dorus De Vries as a second/third keeper. My bet is he is also after Darren Pratley and Lee Trundle. Gorka Pintado has also been spotted at Anfield, though he was just there to have a stadium tour. The only major point in that last paragraph is that Allen's place with the Swans is under question. One thing I will say is: I'd happily take £15million for Joe Allen. He's been fantastic in the last few seasons and is one of the few 'local boy made good' stories around, but, in my eyes, he's not worth £15million. Therefore, if Swansea were able to bank that much for him it would be good business for the sad farewell. That's it from me for about two weeks. When I return I expect a new goalkeeper, a winger and a striker. I expect Swansea will have won their warm-up games. I expect Sinclair and Allen will have signed new contracts. I expect no injuries to the three Team GB players. I also expect the unexpected and know that there will be at least one more surprise that none of us will expect! Premier League and we're having a laugh... £45? Actually, we're not. That's right - Swans fans are justifiably unhappy after the club announced two things yesterday: an updated Jack Army (JA) Membership Scheme and the new price of a home ticket. £45. Surprisingly, after reading through the new membership scheme details, I'm less irritated than I am at the price hike. But there is still confusion as expected. Let's look at the Jack Army scheme first. Tickets go on sale three weeks in advance. The first week and 70% of the allocation is for 'non season-ticket holding JA members' (to give the full title). The second week sees the remaining 30% and leftovers allocated to 'season-ticket holding JA members'. The third week is general sale. You'll be very lucky to get a general sale ticket! Firstly, I'm glad they've listened to our complaints (unless it was just a good guess) and have changed the glaringly obvious mistake of last season where season-ticket holders had priority to buy an extra ticket. Season ticket holders - many of whom are regular readers of this blog - have agreed that there is no need for them to have priority to purchase a home ticket as they already have access to home games. Giving the first 70% of tickets to non season-ticket holders is a good move, and one that I welcome. As I mentioned, I can't imagine the club selling many general sale tickets this season as surely the 2,000-odd seats will sell out in the first two weeks - mainly because I assume the club will sell thousands of JA memberships to compete for those 2,000 seats. Elsewhere, I still don't fully understand the points system. The whole scheme seems to be a three-way divide between ST holders, non-ST holders and general sale - where do the points come in? Why are you getting three points for QPR away and one for Man United home if they are not for anything? These are not hypothetical questions, I actually don't know. This is essentially the same system, just reversed - ST holding JA members are given the 70% priority, then 30% to the non-ST holder and finally general sale. Makes complete sense (for a change) as this time ST holders have a valid reason for needing priority. Note that the cost of joining the new membership scheme will remain the same as last season: £10 for season-ticket holders and £25 for non season-ticket holders. Moving on to the price... what can I say. £45 for a home ticket. It's ridiculous. To clarify, the £45 is for Category A games (including Man City, Man Utd, Chelsea, Arsenal, Liverpool and Spurs), while Category B games (I'm assuming these are somehow unimportant games?!) are £35. Just shy of £50 for a fan to watch their team against one of these 'big' clubs is everything that is wrong with football these days. Naturally it's not just Swansea, but the club are now revealing their nastier side and distancing themselves from the fans with this move. The simple way to look at it is: the average guy in Swansea is finding it hard - unemployment, higher cost of living, recession... it's all a bit gloomy. Football is one of the things that can help ease that stress - it allows a fan to have a pint with their mates, cheer on their team and forget about life for a few hours. However, jacking the price up £10 for these already expensive prime games is greedy. It's at least a day's wages for some people. I am well aware that Swansea are not owned by Johnny Oil-tycoon and need to raise money somehow, but as one fan pointed out, even if all six of the Category A games sell out, including away fans, the club will net an extra £270k over the season. This is nothing in Premier League terms (thanks to @NeathJack1 for working it out). Think of the silly money that players are paid. I could write thousands of words on the problems of money and football, but it's pointless - it will depress us all and won't change anything. I know a blog like this isn't going to get anyone saying “you know what, players are paid too much - let's cut the wages and give something back to the fans”. Still, it's worth mentioning. One day Premier League clubs will price their fans out of the stadium. Empty seats galore reminiscent of the Six Nations or the Euros. Then again, fans will go to any lengths - pay any price - to get tickets to see their club. We're stupid I guess. Chris, chances are I'll get to see 3 or 4 games max this season. £45 for a Swansea ticket is shocking no matter the opposition. The club has lost touch with their fan base. Especially the ones they'll call on if the PL dream turns sour. Think they have forgotten we are in a recession. The new system is clearly designed to make having a season ticket v attractive (ground expansion in mind). £45 is a lot tho! I think at £45 we are turning into a boutique club a la QPR. It was 1/6d or 7.5p when I first paid to see Swans! Soon it will be the case that the only people who can afford to watch football are... well, footballers. Thank god for illegal Armenian cable hook-ups eh? Your thoughts are more than welcome as always. Sign in using Blogger, Wordpress, Open ID and leave your comment! Or tweet me @ForzaSwansea. Who's a lazy boy then? Me. It's been over a week since I've written a blog post, so let's catch up on what's been happening with Swansea City! Not sure about you, but my interest in Team GB is very low - be it running, swimming or, indeed, football. However, I now have to pay more attention after three Swansea City players were named in Stuart Pearce's squad: Joe Allen, Neil Taylor and Scott Sinclair. It's probably a big honour for the players so I guess congratulations are deserved. But is it good news for Swansea? There will be positives in the sense that the three will play competitively through the summer so will not have too much rust to WD40 off when it comes to the opening game against QPR. They will also come up against high quality opponents which is, of course, great exposure to new playing styles and tricky players. Meanwhile they may learn a thing or two from experienced teammates Ryan Giggs and Craig Bellamy. Yet you can't help feel these positives will immediately be shadowed if one of the Swans trio picks up a knock or, worse, a long term injury. There's also the likelihood that, should Team GB go all the way, the three will pick up some fatigue going into the first few games. They'll also miss much of pre-season with Michael Laudrup - I can't see this affecting his decision making (i.e. he won't automatically opt for Tate over Taylor), but it would be better for them to be with the club than running around in London. A mixed bag then. Good luck to them - just watch those injuries. Welcome Flores and De Guzman! While most of the focus is on players leaving the club, Michael Laudrup has reinforced the squad with two solid signings: defender Jose 'Chico' Flores comes in from Genoa on a three-year contract (initial fee of £2million) and midfielder Jonathan De Guzman arrives on a year-long loan deal from Villarreal. From what I've seen of these guys, they look to be good acquisitions, especially Flores - it was no secret that Swansea were desperate for a centre-back after Steven Caulker returned to Spurs, and Flores looks very capable of filling the hole. Meanwhile, Jonathan De Guzman looks quite impressive in his attacking midfield role with plenty of vision and passing ability. Hopefully a good replacement for Sigurdsson. As always, time will tell. For now they both seem to be players that are comfortable with the Swansea style of play, have big game experience and could fit in very well. Welcome. Mr Rodgers has, unsurprisingly, made Fabio Borini one his prime targets at Liverpool. Why should we care what happens at Liverpool? Well, it's our ex-manager and one of our ex-strikers, so it is interesting to see if these two do reunite for a third time. Nothing is confirmed yet, but I'd urge Borini to stay in Italy. More critical to Swansea is whether Rodgers will want to link up with Joe Allen again. We know that Rodgers can't instigate a move for Swans players due to the terms in his contract termination, but, if I understand correctly, if Allen wanted to go to Liverpool, he could. There's no denying Liverpool can offer him bigger wages and that Rodgers is keen to have him, so the rumours are more believable than some of the others we've heard (although Swansea have announced there are no plans to sell the midfielder things can change). Nobody wants to see Allen leave the club - he is vital to the central three, he works hard, he's from Swansea (rare now to see a local boy with his local team, especially in the top flight). Yes, he'd fit into Liverpool's plans, but I feel he'll make a big mistake. Maybe I'm being cynical towards Liverpool (I am), but I genuinely think anyone going there these days is making a mistake! Swansea will play a number of friendlies prior to the first game against QPR - some in Swansea, some in America. One in Port Talbot. 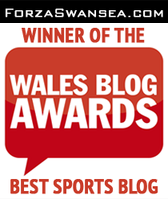 Follow me on Twitter for immediate blog updates and general Swans news - @ForzaSwansea.